While foreclosures have been relatively high in New Jersey, according to the data collected for 2015, it was found that lender's foreclosure filings fell 27 percent from the previous year. Moreover, a decline was found in all 21 counties in the state. This decline is seen as a turnaround as there was a recorded 15 percent increase in 2014 and a 75 percent increase in foreclosures the year before that. This reversal of the foreclosure trend in the state is indicative of a stabilizing economy and evidence that major pressures on the housing market are beginning to ease off. Although the recent change in trends is promising and a sign that the state's economy and housing market are improving, it should be noted that the number of foreclosures being filed in the state, 35,733, is still fairly high. While progress is being made with the reduced number of filings in the state, there is still a high number of foreclosures being filed each year in New Jersey. Because the process can be lengthy and complicated, those going through the process should understand the options available to them. If a homeowner seeks to stop foreclosure, he or she needs to consider options such as foreclosure litigation. 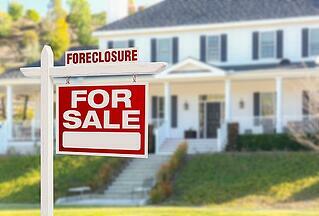 Dealing with financial problems can often lead to even bigger issues, such as foreclosure. Those seeking debt relief should consider options such as bankruptcy. While this might seem like a major step to take, this step could help the homeowner stop the foreclosure process and even help them keep their home.